This book is more than expected, with historical references, how gardening has morphed into a recreational activity in our industrial age, advances in gardening—for sustenance and pleasure, and a chronology of gardening literature. It’s about far more than planting, encompassing various philosophies and exploring gardening throughout fiction and non-fiction. 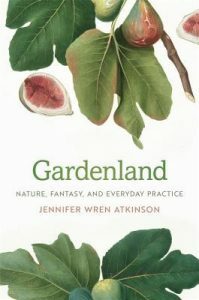 I was fortunate to receive this wonderful book about the practicalities, aesthetics, and dreams of gardening from the publisher through NetGalley.